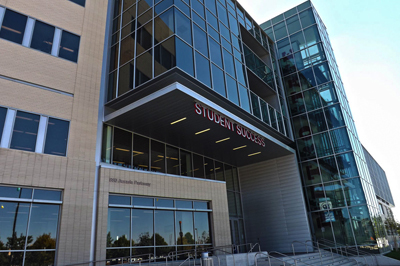 The CAVEA (Center for Advanced Visualization and Experiential Analysis) is an advanced technology interactive 3D facility located in the Student Success Building at the Metropolitan State University campus in Denver. 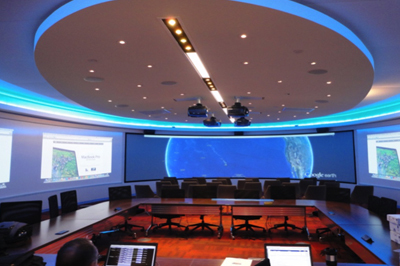 The CAVEA features a large curved 3-D rear projection screen that utilizes high speed dedicated graphics processors and display drivers to support viewing and analyzing complex images. In addition, four side projectors aligned in a 270 degree arc allow independent collaborative sessions to take place around the room. The CAVEA is networked to a number of adjacent spaces and can support video conference sessions, enabling collaboration between these spaces and the CAVEA. 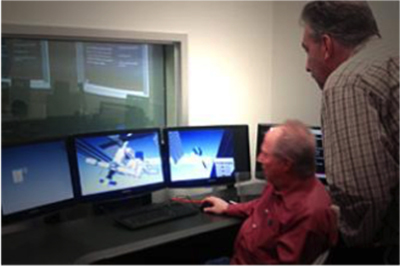 Technology that supports streaming and capture of lectures and presentations for distribution on campus and around the world is provided. The heart of the system is the control room which features an operator’s control console with displays that mirror the images on all projection and 3D screens in the CAVEA. A matrix controller manages all systems in the adjacent meeting spaces and with can connect those resources of any room or combination of rooms throughout the campus.